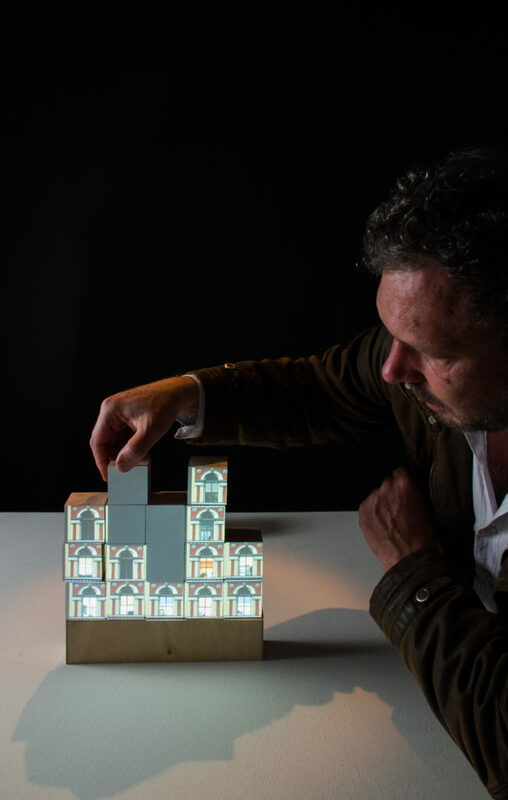 ”Boxes” is a tangible and projection-mapping interactive installation. Sixteen small cubes are placed on or next to other boxes, and then a small video showing a window of a building is projected on the front of every box. The form of the constructed boxes looks like an actual small urban building. Some stories are created by the movement and assembling of the boxes. JeongHo Park is an artist and lecturer. His works are based on interactive design and interactive installation by creative coding. He obtained M.A. (Music Technology) at Korea National University of Arts in Korea. He studies design at Hochschule Trier – Trier University of Applied Science, and works also as Lecturer in Intermediales Design at Hochschule Trier.